A representative will pick you up from your hotel in Cairo to visit El Ghoriya, a very famous district in Egypt located in El Gamalia area (the center of the Fatimid Cairo). It is bordered by El Gamalia Street, which embraces El Azhar mosque, which in turn separates El Ghoriya, the tomb of Al Hussein and Khan El Khalili. Then proceed to Cairo's famous gates (Bab). According to Maqrizi, there were eight gates but three have been replaced: Bab Zuwayla, Bab al Futah and Bab el Nasr. Your next stop is El Mosky, a district founded by Prince Ezz El Din Mosk. On El Mosky there are two streets: one totally devoted for the electric instruments and the other to chandeliers. 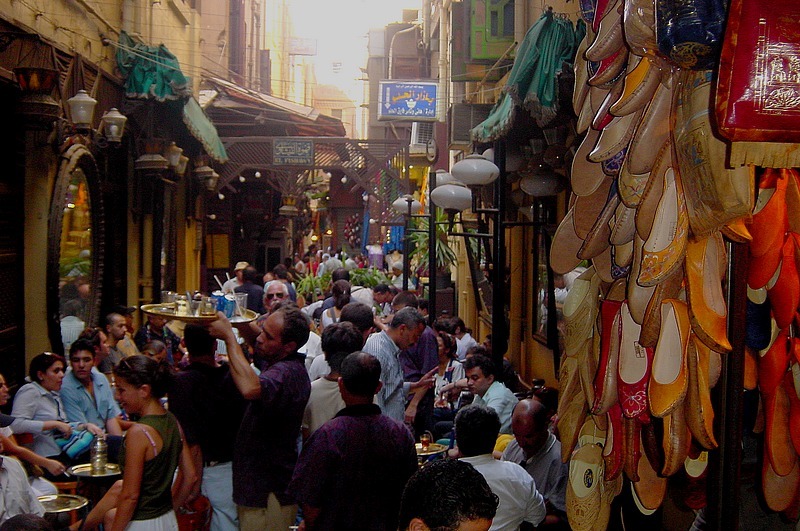 El Mosky is known for its prices as the merchants in this market sell all the products with retail prices. At the end of your tour, you will be driven back to your hotel.